CORRISPONDENZA ROMANA and RORATE CÆLI have just learned that His Eminence Cardinal Gerhard Ludwig Müller, Prefect of the Congregation for the Faith since July 2, 2012, has been dismissed by Pope Francis on the exact expiry date of his five-year mandate. 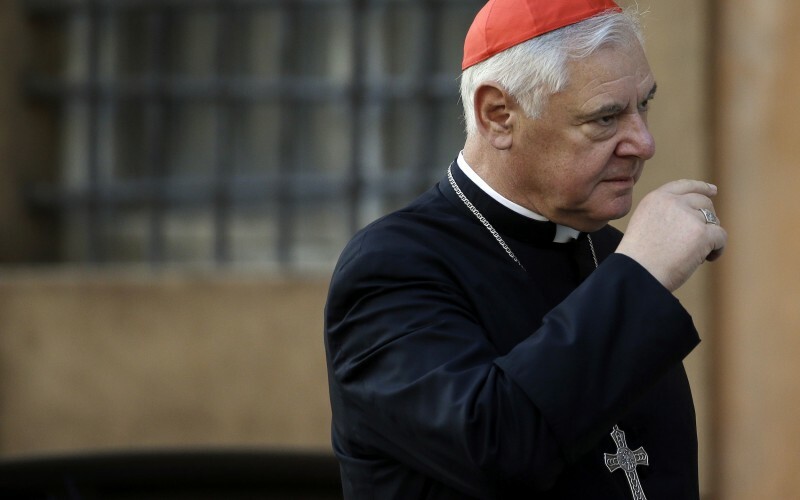 Cardinal Müller is one of the cardinals who sought to interpret Amoris Laetitia along the lines of a hermeneutic of continuity with Church Tradition. This was enough to put him among the critics of the new course imposed by Pope Bergoglio. NOTE: Please, be sure to mention Rorate Caeli in all references to this exclusive breaking news. As we reported first yesterday, the Holy See confirmed moments ago that the Pope has declined to renew the term of Cardinal Müller. 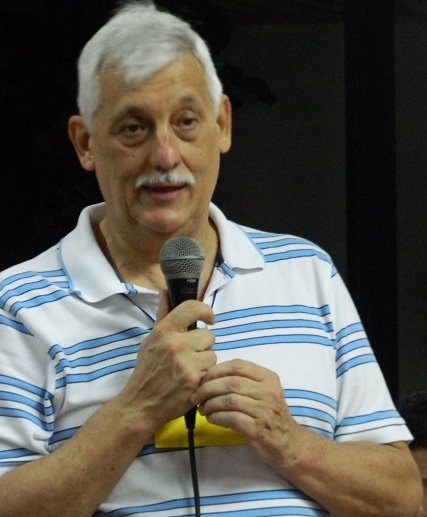 He has named as new Prefect of the Congregation for the Doctrine of the Faith its former Secretary, Spanish Jesuit Luis Maria Ladaria Ferrer. 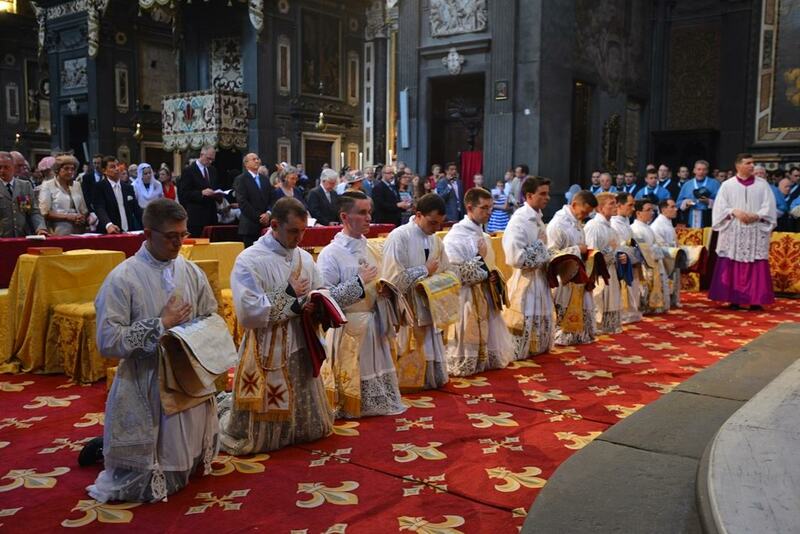 80th priest joins the Rorate Caeli Purgatorial Society! 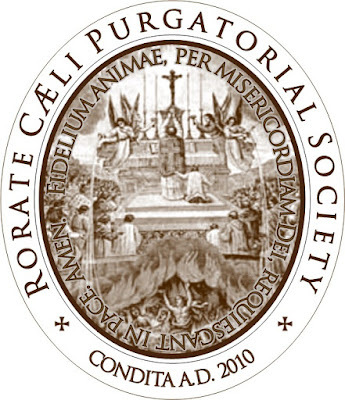 SPECIAL NOTE: The Rorate Caeli Purgatorial Society has been greatly blessed since its inception seven years ago. In that time, while we stopped counting due to the incredible time constraints involved in keeping track, it's very safe to say we have enrolled around 1,000,000 souls, God be praised! Now, today, we announce that our 80th priest has joined the Society. In order to join, the priest agrees to say a weekly, or at bare minimum a monthly, traditional Latin Mass for the enrolled souls. We are so very grateful to these fine men -- the overwhelming majority of them being diocesan priests. And we call on all of our priestly readers, especially the numerous TLM-only priests who read this blog, to sign up today. We know you get a lot of Mass intentions, but surely you can spare one a week or one a month, for 1,000,000 souls! And how they will repay you, good Fathers, at your hour of judgement! See below for how simple it is to enroll as a priest of the Society. And, as our current priests know, this is completely anonymous unless you ask us to promote your joining. Last, we want to thank all of our readers! You fill our inbox with the names of souls day and night, from every continent around the world, and from countries this contributor has problems finding on a map. We thank our vast international family for making the Society a success -- especially for the readers who cannot afford to pay for Masses for the dead. Thank you, and may God reward you! This is our monthly reminder to please enroll Souls of the Rorate Caeli Purgatorial Society. We now stand at 80 priests saying weekly or monthly traditional Latin Masses for the Souls. The video is from the press conference given minutes ago by the police of the State of Victoria, Australia. He is summoned to appear in the Magistrates' Court of Victoria in Melbourne on July 18. “Good morning to you all. “The Holy See has learned with regret the news of charges filed in Australia against Card. George Pell for decades-old actions that have been attributed to him. Having become aware of the charges, Card. Pell, acting in full respect for civil laws, has decided to return to his country to face the charges against him, recognizing the importance of his participation to ensure that the process is carried out fairly, and to foster the search for truth. The Holy Father, having been informed by Card. Pell, has granted the Cardinal a leave of absence so he can defend himself. During the Prefect’s absence, the Secretariat for the Economy will continue to carry out its institutional tasks. The Secretaries will remain at their posts to carry forward the ordinary affairs of the dicastery, donec aliter provideatur [until further notice]. The Holy Father, who has appreciated Cardinal Pell’s honesty during his three years of work in the Roman Curia, is grateful for his collaboration, and in particular, for his energetic dedication to the reforms in the economic and administrative sector, as well as his active participation in the Council of Cardinals (C9). Saints Peter and Paul: "The True Church is the Church of the True Pope"
The true Church is the Church of the true pope, of the true successor of Peter, and the true pope is, in divine law we mean, the legitimate bishop of Rome. Who thus sees with which specific title the true pope is Roman also sees with which specific title the true Church is Roman. 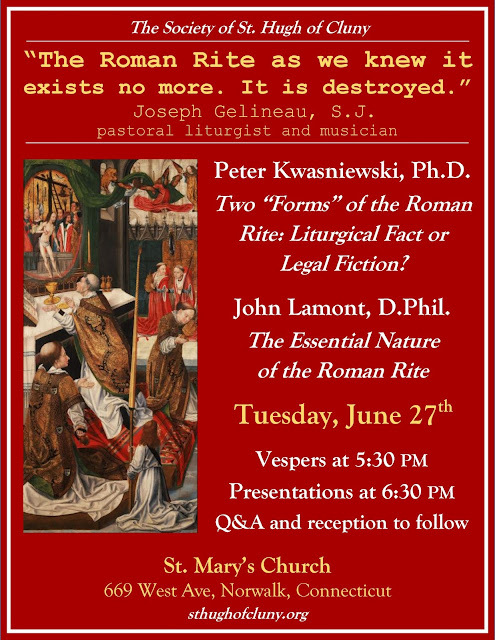 Roman Church: this is not nevertheless her interior, comprehensive, and profound name, but her concrete, apparent, immediately comprehensible name; when the Christian communities of the Far East, removed from paganism by Francis Xavier and that had remained without priests for two hundred years, saw disembarking missionaries once again, they recognized them by asking them if they obeyed to the "white robe". The Australian Catholic collapse: "Francis Effect". The Cardinal was in France for the Chartres pilgrimage. He celebrated Mass at the close of the pilgrimage on Monday in Chartres Cathedral. He stated that he was very impressed by his visit to the camp and his meeting with all those who put themselves at the service of the pilgrims. He recalled that pilgrimages, which existed even in the Old Testament, were undertaken in the early Church and practised by Christ Himself. He also underlined the importance of making pilgrimages even today, of leaving behind the circumstances of our everyday existence to go in prayer and penance to a holy place in order to rediscover the supernatural in our lives. 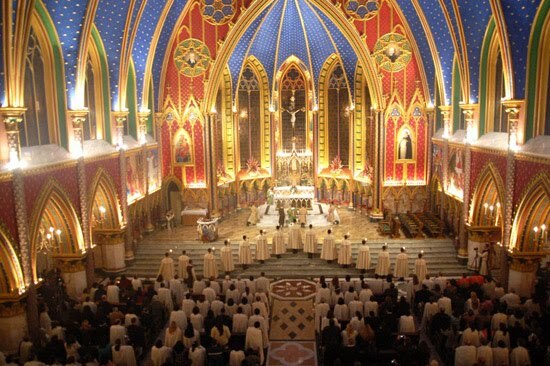 The Chartres pilgrimage, which is centred on the Sacred Liturgy, the fullest and highest expression of our life in Christ, is becoming increasingly attractive and the number of participants is set to increase in the years to come. I am pleased to announce the publication of my new book with Angelico, now available on Amazon. 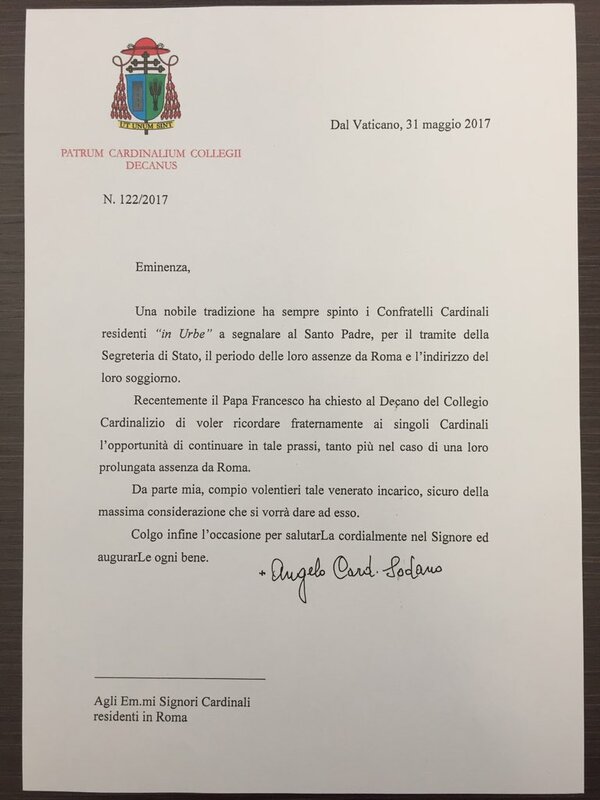 The four Cardinals, authors of the “dubia” concerning Amoris Laetitia, have made public through Sandro Magister’s blog a request for an audience presented by Cardinal Carlo Caffarra to the Pope last April 25th, but just like the “dubia” it has received no response. The deliberate silence of Pope Francis – who receives a good deal less relevant personalities at Santa Marta to discuss issues of a good deal less importance for the life of the Church – is the reason for the publication of the document. In this filial request for an audience, the four Cardinals (Brandmüller, Burke, Caffarra e Meisner) reveal that they had wanted to explain the reasons for their “dubia” to the Pontiff and elucidate the situation of grave confusion and disorientation facing the Church, with particular concern for parish priests, “in primis” shepherds of souls. - Did you receive, in the grotto of Lourdes, or after then, any revelations related to the future and fate of France? Did not the Blessed Virgin deliver any warning for France, any threats? Words of great wisdom from the Saint. 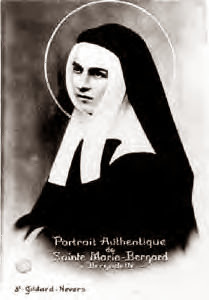 The true enemies of the Church, those who can cause Catholics great harm and peril of damnation, are those who are within, the "bad Catholics" Saint Bernadette feared so much. And they are more dangerous the more powerful they are, the higher in the Hierarchy they are, and the more empowered they feel, their fury, deception and bold vulgarity unleashed. * Edmond Lafond, La Salette, Lourdes, Pontmain: voyage d'un croyant, Paris, 1872, p. 238. 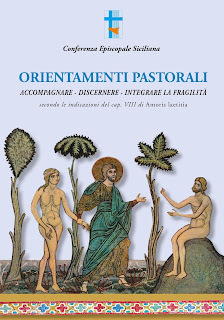 An ethics study group for the Italian Jesuit magazine Aggiornamenti Sociali, headed by Fr. 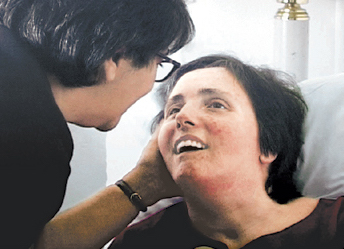 Maurizio Chiodi, a newly appointed member of the Pontifical Academy for Life and a theologian of the Northern Italian Theological Faculty of Milan, has joined Italian euthanasia activists in supporting a bill that would legalize physician assisted suicide and/or euthanasia in certain cases. The bill has already been approved by the House and is now before the Italian Senate. Father Denis Puga is the new parish priest at the FSSPX Church of Saint-Nicolas du Chardonnet in Paris, which publishes the newsletter of the same name. Shortly before undergoing His terrible Passion, Our Lord solemnly warned His disciples: “Satan hath desired to have you, that he may sift you as wheat” (Luke, 22, 31). This warning is also for us today, as the Church, following Her Master, is undergoing a terrible crucifixion. Our Church has been abandoned and betrayed. Our Church has been taken over. Now, this Church – we have to acknowledge – is in a catastrophic state, like “a boat leaking water in every side” according to a recent Pope despite the fact the he himself, in his lifetime, contributed in causing many of the leaks. I was recently asked why Thomas is so crucial to theology. I replied by indicating why I love his work so much. I believe Thomas achieves profound observation. A friend of mine, now a nun, and I both agreed on the following image: Reading Thomas on some problem (free will, e.g.) is like having your gnarly hair combed. Another friend said that after reading Thomas’s observations, one can look at the real with him and say, “That’s what it is, isn’t it?” All those “disputed points,” all those “qualifications”, all that “hair-splitting”: In fact, it is simply a tour of the real. It is Aquinas taking you on a field hike, pointing things out. It is you, watching the real with him, and falling in love with it. It is finding God’s mind in things. Full cost, including accommodation and meals from 29th June to 2nd July, is £150. Seminarians and other clerical students come for half price. Attendance at talks and discussions only is £15 per day. The last day to register is 20th June. Visit http://dialogos-institute.org/?colloquium for more information and to register. There will also be eight deacons and five sub-deacons ordained on July 5th by the Most Reverend Guido Pozzo, Titular Archbishop of Bagnoregio and secretary of the Ecclesia Dei commission. Please keep these young men in your prayers. Traditional nuns need help once more -- keep the construction going! While we try to keep our fundraising appeals here limited, we do have a special place in our hearts for the Benedictines of Mary, Queen of Apostles. Finding a more holy -- and traditional -- order of nuns would be a difficult task. And we feel obliged to help, even when they tell us we don't have to, as they did once again. And, as always, this is one time we feel comfortable disobeying! These novenas are helping to fund the sisters' new church. They've broken ground but the money will run out -- and construction will stop -- by the Fall if we fail to answer their calls for donations. 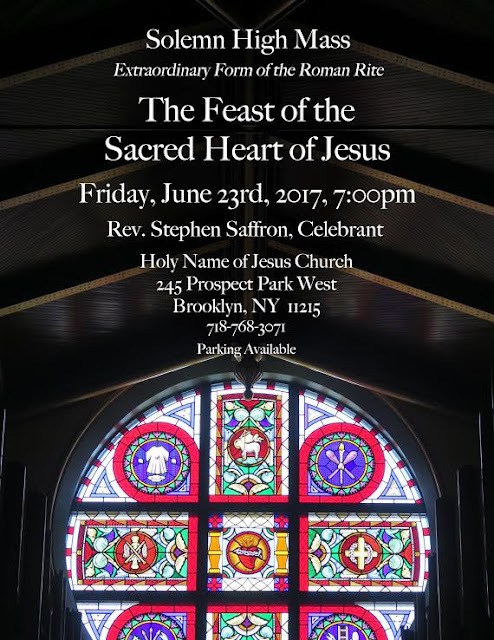 Their latest Novena of traditional Latin Masses, which go towards the construction, will begin on June 23 in honor of the Most Sacred Heart of Jesus for all families and persons, both living and deceased, enrolled in the Novena. You MUST have your names in BEFORE next Friday. On June 4, the Sicilian Bishop Conference, encompassing the 18 dioceses of the island of Sicily, followed their neighboring bishops in Malta by promulgating pastoral guidelines on Chapter 8 of Amoris Laetitia that authorize Holy Communion for the divorced and civilly remarried without annulment (ie. in a state of public and permanent adultery). 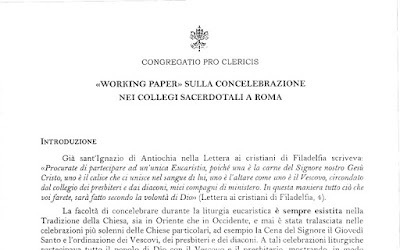 The Sicilian guidelines also bear resemblance in their drafting to those of the diocese of Catania. 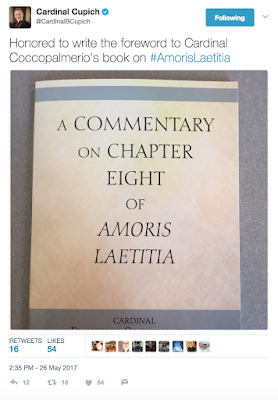 The guidelines significantly admit that Familiaris Consortio required (using the past tense) such couples to practice chastity, but that this requirement has been "expanded" (read: nullified) by Francis in Amoris Laetitia. The guidelines state: "According to the assessment of the confessor and taking into account the good of the penitent, it is possible to absolve and admit [the divorced and civilly remarried] to the Eucharist, even though the confessor knows that it is, for the Church, an objective disorder." 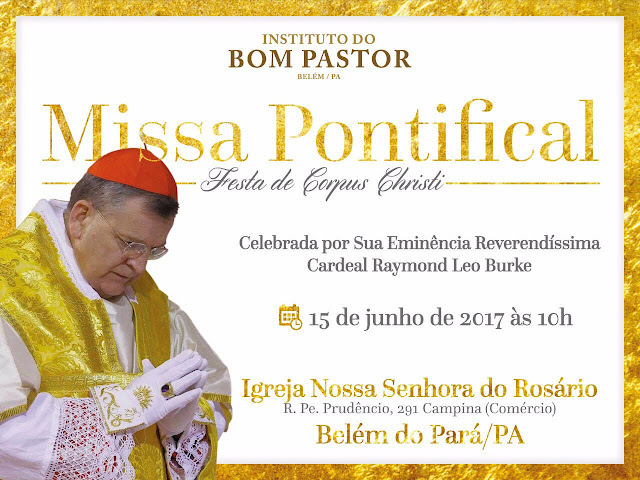 This was sent to us just today, so here it is: Cardinal Burke will celebrate a Pontifical High Mass for the Feast of Corpus Christi in the city of Belém, state of Pará, in Brazil, the gateway to the Amazon. Today, the Mayor of Rome, Virginia Raggi, sent a letter to the Italian Ministry of Internal Affairs to ask for a solution to the immigrant crisis in the City. Considering the unending papal support for the continuous flow of new groups from North Africa and the Middle East into Italy, the stage is certainly set for a great confrontation on the issue. Rome is undergoing a strong migratory pressure. We cannot go on like this. I have sent in the past few days a letter to the Prefect* of Rome to demand of the Ministry of the Interior a moratorium on new arrivals of migrants in the City. This past Sunday at the Parish Church of San Roque, Reconquista, Santa Fe (Argentina), the local bishop, Msgr. 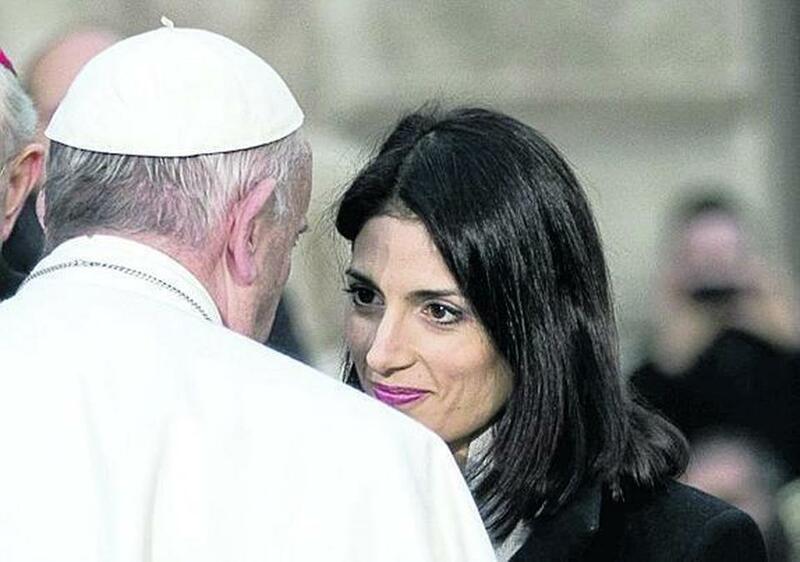 Macín, appointed by Pope Francis in 2013, carried out a monumental and sacrilegious scandal that clearly shows what's behind Amoris laetitia. In this church he organized a solemn Mass, in which he publicly announced that according to the norms sent in a letter more than 6 months ago by Pope Francis, and within the framework of the integration of Christians who are "marginalized" because of their irregular situation of being divorced and remarried or in an irregular situation (the divorced in a new union), after having completed a period of 6 months of meetings on Saturdays called the "path of discernment", it was determined in accordance with what was previously stated (by order of the Pope) TO INCLUDE THEM IN FULL AND SACRAMENTAL COMMUNION, which would happen in the ceremony. At no point was mention made that those people had taken some vow of chastity or of living "as brothers [and sisters]." But it seems that something has happened that has never happened before: though we know not just when or how or where. Men have left GOD not for other gods, they say, but for no god: and this has never happened before. It is this passage from T.S. Eliot’s “Choruses from the Rock” that describes the current situation of man in this present age. And Eliot is correct: this has never happened before. Human history is characterized by the awareness of the sacred, however that awareness has taken form. It has always been a given. But something has happened in this time: men have left God not for other gods but for no god. But, the answer swiftly comes: “All the polls show that the great majority of Americans say that they are religious”. The liberal press is fond of trumpeting the rise of professed atheism, but most people would describe themselves as religious in some way. But because people say that they in some sense believe in God, does not mean that for all practical purposes this belief is not in fact a form of atheism, for if you go on to questions them about this god and their relationship to this god, you discover, and this is true about many religious people who even attend church, that this god is a mental, subjective construct who plays no role in their lives. For this is a god who has to fit into the post- modern way of looking at things. And what is this way of looking at things? As we near the tenth anniversary of the promulgation of Summorum Pontificum, the Society of St. Hugh of Cluny is pleased to announce a special event at St. Mary's Church in Norwalk, Connecticut, on Tuesday, June 27, starting a 5:30 pm, namely, traditional Vespers, a lecture by me and a lecture by Dr. John Lamont, a Q&A period, and a reception with refreshments. 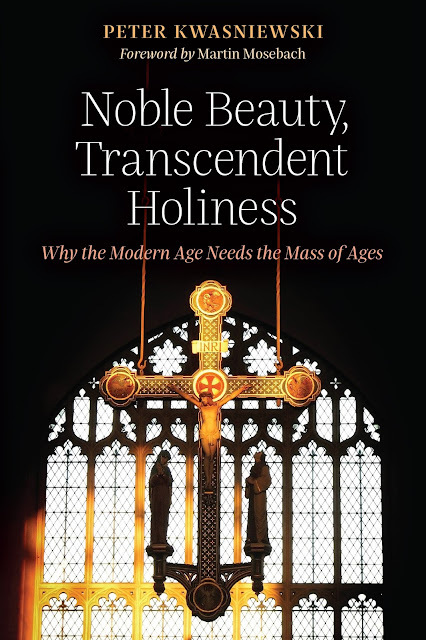 In addition, Angelico Press will be on hand for the launch of my new book: Noble Beauty, Transcendent Holiness: Why the Modern Age Needs the Mass of Ages. Copies will be available for purchase at a 20% discount. I'm looking forward to meeting the attendees and will be happy to sign or inscribe a book for anyone interested. It's funny how this Pope only wants "tradition" (with a very, very small "t") when it suits his purposes. 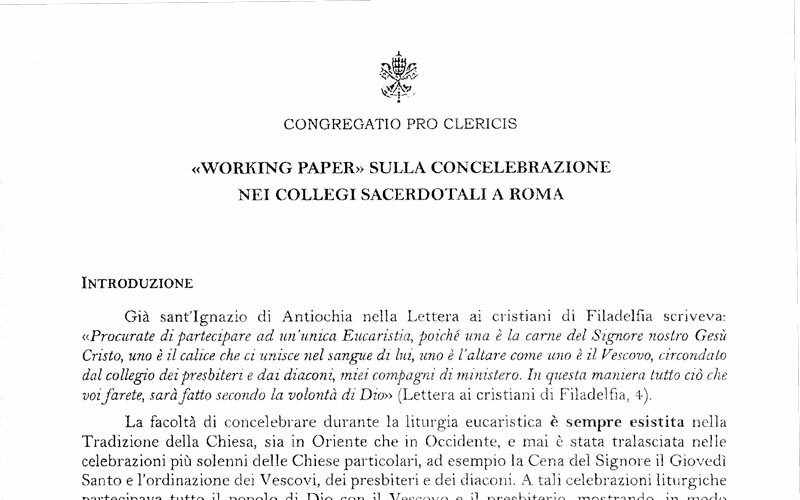 A noble tradition has always led the Fellow Cardinals residing "in Urbe" to inform the Holy Father, by way of the Secretariat of State, the period of their absence from Rome and the address of their stay. 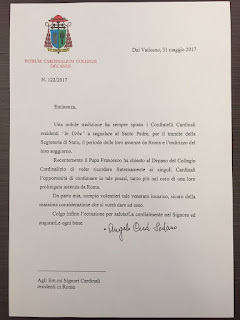 Pope Francis has recently requested of the Dean of the Cardinalatial College to fraternally remind each single Cardinal the opportunity of keeping that practice, even more so in the case of an extended absence from Rome. On Friday, June 23rd at 7:00, Holy Name of Jesus Church in Brooklyn will be celebrating the Feast of the Sacred Heart of Jesus with a Solemn High Mass. 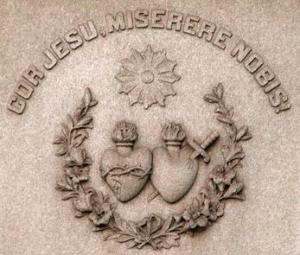 De Mattei's double article: "Russia will be Catholic"
“Russia will be Catholic” is the inscription on the tomb of Father Gregorio Agostino Maria Šuvalov, buried in Montparnasse cemetery in Paris. The Russian Barnabite sacrificed his life for this cause (Antonio Maria Gentili. 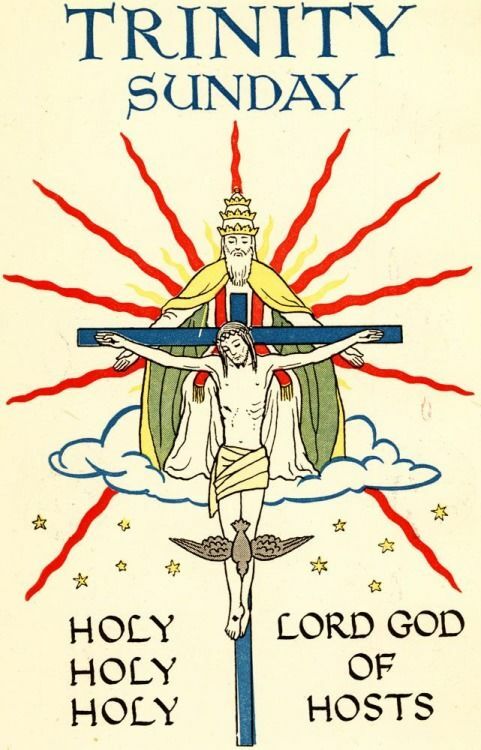 I Barnabiti, Padre Barnabiti Rome 2012, pp.. 395-403). Count Grigorij Petrovič Šuvalov was born in St. Petersburg on October 25th 1804 of an old and noble family. One of his uncles, a general in the army, was in charge of accompanying the defeated Napoleon to the Isle of Elba and another of his ancestors had founded Moscow University. He studied in St Petersburg’s Jesuit College from 1808 to 1817, until the Jesuits were expelled from Russia and he continued his studies first in Switzerland, then in Pisa, where he mastered the Italian language. He was however, influenced by the prevailing materialism and nihilism in the liberal circles which he frequented at that time. Nominated by Czar Alexander I officer of the Hussar Guards at the age of 20, in 1824, he married Sofia Soltikov, a profoundly religious woman, Orthodox, but “Catholic in heart and soul”, who would die in Venice in 1841. With her he would have 2 children: Peter and Elena. Monsignor Joseph Clifford Fenton (1906–1969), a professor of fundamental and dogmatic theology at the Catholic University of America and editor of the American Ecclesiastical Review, was one of the twentieth century’s foremost theologians. 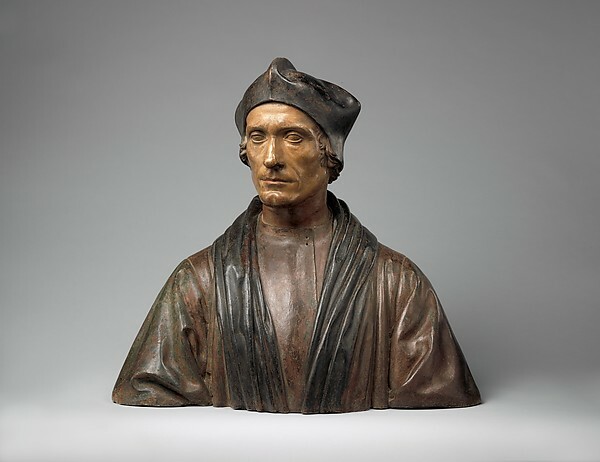 His work is particularly notable for its total fidelity to sound Catholic principles: inerrant Sacred Scripture, apostolic and ecclesiastical Tradition, and the consistent Roman Magisterium. 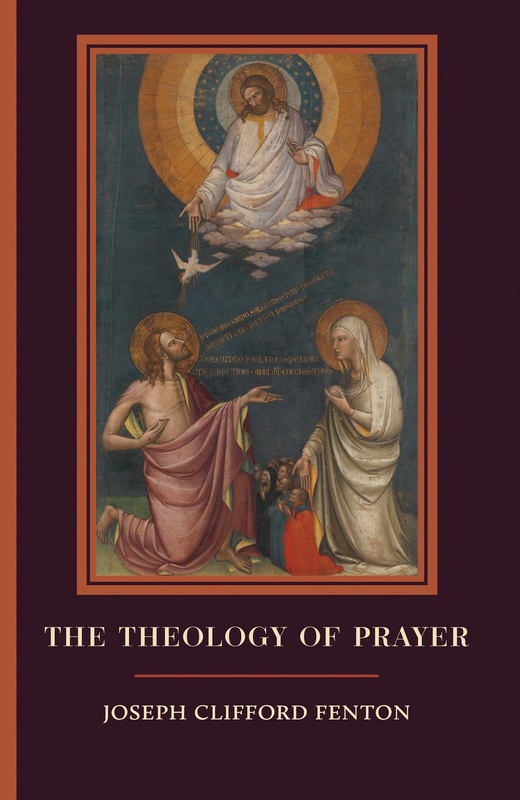 His 1939 text The Theology of Prayer has been re-published in a beautiful newly typeset and designed edition from Cluny Media. 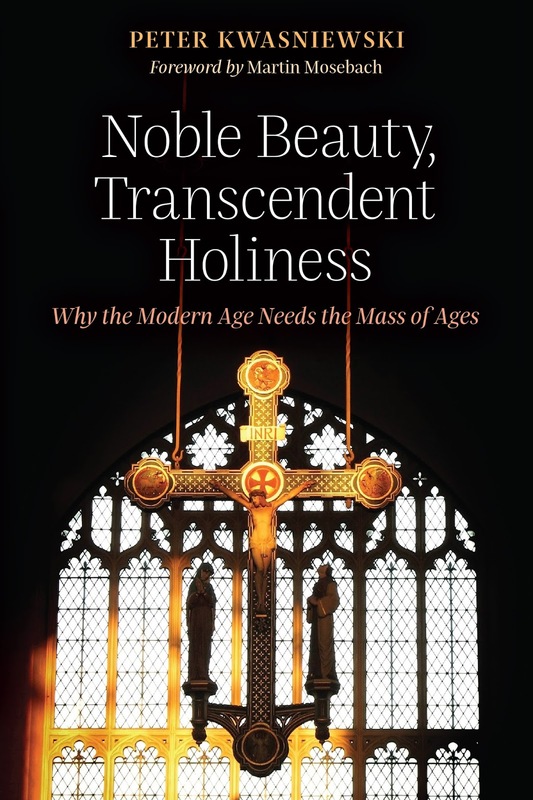 (Cluny last year released a collection of Monsignor Fenton’s essays, edited by Christian D. Washburn, which was reviewed here on Rorate Caeli by Christopher Malloy). The Theology of Prayer distills the teachings of Thomas Aquinas, Thomas a Vallgornera, and Joseph a Spiritu Sancto, among other great scholastic theologians, on the nature of Christian prayer. The writings of those theologians hold such treasures on praying effectively that their loss would be a tragedy for the people of God. In these pages, Monsignor Fenton clearly and concisely presents to the contemporary reader the scholastics’ works and their penetrating insights into Sacred Scripture and Catholic Tradition. With The Theology of Prayer, Fenton revitalizes the work of those theologians, preserving their insights and presenting plainly what God has revealed about prayer and how the Church has preserved and expounded that revelation for the good and the salvation of all who believe. First, we must make two observations. The topic of a wife's submission to her husband is an issue that we hear about often, and one that is too long, and too in-depth, for this blogger to go into today. However, quickly, I want to point out to husbands, as Father's Day is approaching, that a wife's submission is impossible without the husband's love for her: The same love that Christ has for His Church. And that a husband's love cannot be divorced from his actions. "My anti-feminist leanings should not be construed as a lack of respect for the personal dignity of the wife and mother. Quite the contrary. When men once again become heads of their home, the dignity of wifeliness and motherhood will equal if not surpass the current secular adulation of the career woman. In the evening after the children are bedded is the most likely time for the man and wife to sit together and talk about their mutual partnership. A few words may be all that is needed to renew common enthusiam for the daily grind. When God divided the species into two and assigned the woman to be the helpmate of the man, He didn't merely give the man an extra pair of hands but another mind and loving heart. It is more than likely that a man and wife can get better advice on intimate problems of conduct from one another than from any other source. Grace and love combine to quicken the perceptions of each partner so they can be of inestimable help to one another. It should be borne in mind that all the graces of Matrimony build upon the mutual consent of each partner. Each had to say, 'I will!' before the Sacrament was fulfilled, and this 'I will!' must be repeated continuously if the graces are to become actual in their works. In order for the man to be a proper head of the family, his wife must continuously consent to it. He cannot effectively force her to consent. On the other hand, the man must consent to her being his helper or else she cannot truly be helpful. If he seeks advice for living from some other sources, looking down upon her suggestions, then he is cutting himself off from the most likely source of wisdom." Too often, some traditionalist husbands get a warped, even dangerous view of submission. Submission is many things. It is, however, never an excuse to verbally, psychologically or, especially, physically abuse a wife. Never! And any traditional man who is committing these grave sins, certainly not loving their wives as Christ so loved His Church, should stop immediately. Your souls, and possibly even your freedom, are in peril. The 2017 Norcia Summer Theology Program of the Albertus Magnus Center for Scholastic Studies, "Divine Power in a Hidden Way," dedicated to the theology of the sacraments, will be starting up in a month's time: July 2-14. We still have room for last-minute applications, so if you've been tottering on the edge about coming, now's the time to make the final decision. A full description of the program and practical details may be found at the above link. Our Gospels tell us very little of the post-Passion appearances of Jesus. In compensation for the dearth of anecdote, artists have seized that encounter on the road to Emmaus. A popular motif for centuries, it challenges artists to picture a revelation at once quotidian and sublime. Few have met that challenge with the power and subtlety of Michelangelo Merisi da Caravaggio. Christians profess faith in Jesus as True God and True Man, his humanity and divinity indivisible. That faithful unity loses something of its purity in the effort of depiction. It is no easy thing for Western verisimilitude to suggest “the radiance of the glory of God,” as Paul states in Hebrews 1:3, without tilting the Incarnate Word into something dewy and ethereal, making human flesh a costume rather than—Paul again—“the exact imprint of his nature.” Caravaggio’s Supper at Emmaus reminds us that the resurrected Christ and the Galilean man are one. Caravaggio. Supper at Emmaus (1601). 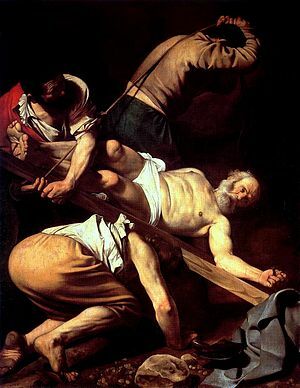 Caravaggio painted two renditions of the theme. The first (1601, above) hangs in the National Gallery, London. The second, painted five years later, is in the Brera, Milan. Completed while he was on the lam from Rome for having murdered a well-known pimp, the 1606 variation (below) is subdued. Gestures are restrained, color is understated, the table cleared of all but bread and wine, elements of the Eucharist. Atmosphere is darksome, the Christ figure more conventional. Its greater solemnity brings Caravaggio’s unflinching realism—not customary at the time—within the orbit of traditional patterns of depiction. Yet it is the earlier work that conveys the drama of that instant of recognition with greater potency. And particular earthiness. Superior-General of the Society of Jesus: The "devil" doesn't exist, just a mental construction to symbolize "evil"
We invent names to represent evil, malice, or idiocy. Such as "devil". Or "Jesuit Superior General". This is our monthly reminder to please enroll Souls of the Rorate Caeli Purgatorial Society. We now stand at 79 priests saying weekly or monthly traditional Latin Masses for the Souls. Here is to be found one of the deeper aspects of the dogma of the Communion of Saints. The closer one of these privileged souls is to God, the author and source of every good which can adorn and rejoice souls, the greater is her beneficent action on those around. What graces she can demand from the Spouse, wresting them from Him for the whole Church! How powerfully she can co-operate in the conversion of sinners, the perseverance of the just, the salvation of those agonising, the entrance of the holy and suffering souls into the bliss of heaven! What a wonderful fruitfulness is hers! 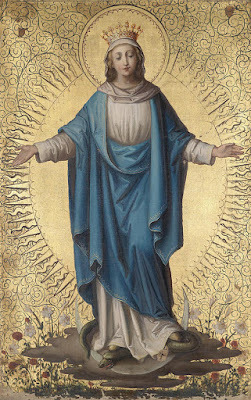 The fecundity of nature is limited; hers is unlimited, it is as a radiance emanating from her soul; those who approach her are embalmed "in the good odour of Christ;" there is, as it were, a divine virtue which goes out from her to touch souls, obtain their pardon, console, strengthen, raise, tranquillise, gladden, and make them show forth the glory of her Spouse.